Dream of living the lavish life of a Washington, D.C. political power broker? That dream is now within arm's reach; the Washington, D.C. house best known as Frank and Claire Underwood's home in the hit Netflix series 'House of Cards' is scheduled for public auction. 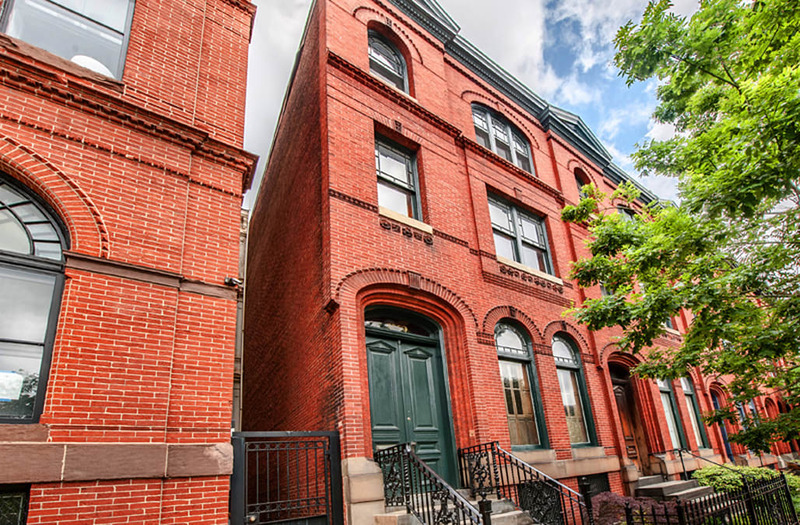 The regal brick Victorian is fully restored and features five fireplaces, 12-foot ceilings, and a dining room with a butler's pantry, according to the listing. There's also a rear patio with a grill and a detached two-car garage – perfect for visiting heads of state who might need a spot for drivers to idle during important state dinners. The home's exterior was featured prominently throughout 'House of Cards' as the Underwood residence during the first four seasons of the show. Avid fans of the show know the Underwoods have since found a new D.C. clubhouse for their conspiring: 1600 Pennsylvania Ave. The 4-bedroom, 3-bathroom house is scheduled for auction next month, with starting bids at $500,000 (only 20% more than the $400,000 annual salary of the real life President of the United States). It comes with a security system with cameras and a DVR – you know, in case you enlist someone to throw a brick through your window. Jared Block of Alex Cooper is the auction agent on the listing.